What a terrific summer and fall we just had at Welles Park! Whether you were in the NaturePlace, a baseball game, a summer camp, the Midnight Circus, a summer concert, or the pool, Welles Park was the PLACE TO BE in 2018. How lucky are we to have such an amazing resource in Lincoln Square? Please consider giving back to the Welles Park Advisory Council so we can sponsor even more events next year. 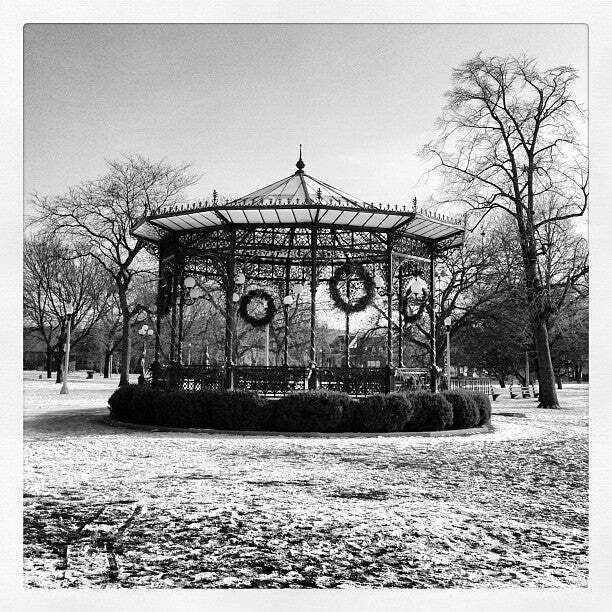 Click on the DONATE link to support Welles Park. Don’t forget to register for courses and camps with the Chicago Park District, enjoy the quiet time in the gazebo, and think about those picnics and warm days to come next year. As the park settles down for the winter (at least outdoors), here’s hoping we will see you in 2019. Welles Park Advisory Council is very excited with the progress of the Nature Place. The fence has been removed from the new Welles Park NaturePlace. The space is still a work in progress with new elements to be added in the coming months. While we complete the space and anxiously await the growth of the plants planted last fall, please be careful to respect the space. We ask that everyone stays off the planted areas (mats of straw on the ground seen in the picture below) and remain on the trails or mulched areas. Also, dogs are never allowed in Chicago Park District natural areas. The Park District has started work on the nature play area for Welles Park. Thank you to everyone that has supported this project! Primary construction will take place from July 17 through August 17th, 2017. The area will be completely fenced off during this time. In late August, the construction fences will come down but the site will only be partially accessible. Due to the nature of the project, there are some activities that can only happen late in the season, such as tree planting. Other areas that are planted with seeds or small plants will be protected by shorter fencing. It is very important to stay out of these areas while plants become established and seeds germinate or we will have increased weed issues in future years. Many of the main play elements will be in for the fall but more may be added going forward based on resources of the Park District and Advisory Council. In 2018 and 2019, the plants will start to fill in and the prairie and savanna landscape that has been designed will start to be realized. Be patient please! Thank you to ABC7 Chicago for coming out for the groundbreaking ceremony and featuring this great project. Link to video is here. Please join the Welles Park Advisory Council Greening Committee for two upcoming events. Welles Park is participating in It’s Your Park Day, a day to join together as a community, help our park and receive an update about the upcoming Natureplace. Join us and @ChicagoParksFoundation on June 17th from 9am-noon at Welles Park. A very generous neighbor has stepped forward with a challenge donation of $3,000. If we can receive $3,000 in donations, she will match those funds with another $3,000 up till June 21st. So far we’ve raised $1,500 under this challenge but we need another $1,500 to get the full amount. Please take a moment to make a donation or reach out to neighbors, friends or family that might want to give back to Welles! Got a second to help us win $20,000? By Phone: Text the code welles to 35350. Message and data rates may apply. reminder in your phone so you don’t forget, and vote both ways to double your impact. Over 1/3rd of the way to our own NaturePlace! We are so excited to report that we have raised over $11,000 towards our $30,000 goal. Thanks to all of you that have contributed so far. There has been some exciting media coverage and with Spring around the corner we know we’ll be busy planning for the ground-breaking. Take this moment to contribute to our project so we can make every log, bench, and adventure a reality. We are now reaching out to local businesses to ask about their capacity to support this project. If you are a local business and you like the idea of bringing a bit of nature to Welles, please contact Becky Kliber for contribution levels or other ways you can help. Holy cow! The support for the new nature area and play space is getting great support from across the community. We’ve almost raised $5,000 of our $30,000 goal! If you want to support the project visit the Crowdrise site or drop off a check at the Field House. If you are a local business that has ideas on how you might provide support in funding, product donation or event hosting, please reach out to Becky Kleiber with ideas. We still need your help so take a moment to make a donation and help us make this unique opportunity a reality for all. The Welles Park Advisory Council has been busy this fall! Midnight Circus, renovations to the field house and pool, not to mention the usual activities, classes and events that bring thousands of visitors to the park each weekend. And now we need your help! We are fundraising to develop a unique new playground for the southwest corner of the park. A playground based on play in nature. Please take a moment to read more about this exciting addition to our beloved park. To receive updates on meetings please email us at wellesparkac@gmail.com to get on the notification list or follow us on Facebook.